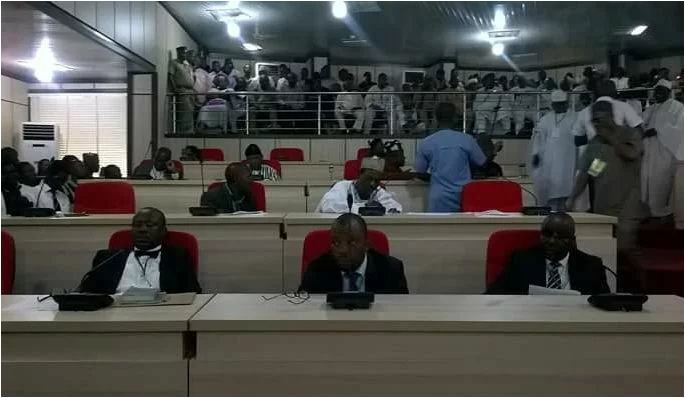 Speaker of the Benue State House of Assembly, Titus Uba, on Wednesday, urged the Federal Government to release the Paris Club refund it seized from the Benue State Government to enable government to pay the workers’ salaries. The Federal Government had released the last tranche of the Paris Club refund to Benue State amounting to N14.9bn but was later withdrawn from the state account. Speaking on the withdrawal of the Paris Club refund, Uba accused the Federal Government of targeting Benue as a way of punishing the people of the state for no reason. The Speaker alleged that some of the states who were also affected by the Paris Club refund withdrawal had been given their money. Uba, however, expressed the assurance that the Federal Government would soon release the money to the state. He urged the people of the state to remain calm. “We believe the money will be released to us because it is our money. Benue people should just be patient. The governor is not resting on the matter. It is our money and it will be sent back to us and the people will have the benefit of that money,” Uba stated.